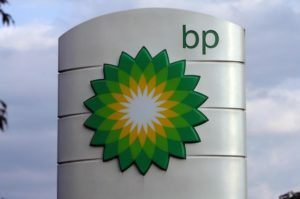 British Petroleum (BP) is the world’s third largest integrated oil marketer after Exxon Mobil and the Royal Dutch Shell. The operations of BP are through two segments: Downstream and Upstream. The Downstream segment deals with the refining, production, marketing, distribution and the supplying of crude oil, refined petroleum, petrochemicals products and associated products to wholesale and retail consumers. The upstream segment trades in natural gas such as liquefied natural gas and accounts for BP’s activities in the exploration of oil and natural gas, development, production, and transportation, processing and storage. BP is headquartered in London in the UK and was established by William Knox D’Arcy in 1909[i]. The activities of BP in the exploration of oil and gas is spread over 30 countries and the company has oil reserves of about 17.8 billion barrels. BP is a top refiner and United States’ biggest oil and gas producer. It operates sixteen refineries that process four million barrels of crude oil daily. BP is a major manufacturer of petrochemicals and operates 21,800 fuel stations in different parts of the world. The company experienced a major turmoil in 2010 following the explosion of a Gulf of Mexico deep-water rig that killed eleven workers. Several million gallons of crude oil flooded the gulf and the company had to part with $20 million in damages between 2010 and 2012[ii]. While discussing the company’s international strategies, it is desirable to identify some changes. During the early stages of its development, BP employed the cost leadership strategy. The company made respectable efforts to lead in developing costs. However, the firm’s cost cutting measures were the prime cause of oil leaks and spills. The cost reduction strategy prevented the company from prompt and routine rehabilitation maintenance and repairs on its infrastructure. Presently, BP has revolutionized the cost leadership strategy to the differentiation strategy. BP operates in over eighty countries, with its largest subsidiary being BP America, the second biggest US oil and gas producer. The company also spends billions of dollars each year on research and development. Their Technology Complex at Naperville, Illinois is the key to the company’s R&D efforts, providing new technologies for the refining and marketing activities. In response to stiff competition from other industry players like Chevron, Exxon Mobil, and the Royal Dutch Shell, the company has strived to restructure its market share by expanding its operations beyond oil and gas to also include alternative energy. As part of its strength, BP has maintained a dominant market position through vertical integration, and has ensured a wide geographical presence[iii]. However, its weaknesses seem to be the dwindling production of natural gas and crude oil. As it is turning out, the tough and constantly metamorphosing external environment has pushed BP to implement a range of new decisions that were completely unlike the ones undertaken in the past. These changes seem to have yielded some fruit, although with reservations. These changes have mostly been in response to the external economic, political, technological and social influences. Moreover, the company’s generic strategy has changed from cost leadership to differentiation[iv]. BP ships and pipelines safely ensure that the company’s products serve the needs of energy consumers all around the world. The company’s downstream operations ensure the refining, transportation, sale and trade in crude and petroleum products in more than 100 territories. Their downstream operations include gas stations, refineries, chemical businesses, business marketing and lubricant businesses. BP serves millions of customers daily through several reputable brands such as Castrol, Arco, Aral, Amoco and BP[v]. As a marketing approach, BP is introducing new technologies in its production process. The company has rationalized the transportation of oil and oil products and has cut the carbon content of its fuels to minimize their polluting effects. BP uses different modes in the distribution of its products. These include pipelines, ships and road oil tankers. The method used in distribution varies from place to place depending on the availability and the economics of using such method. BP also relies on strategic partnerships to market and distribute its products, a good example being its partnership with Setra Lubricants to distribute its Castrol and BP lubricants in the Russian market. Some of the communications methodologies employed by BP include website, telephone, emails, fax, and remote mail. As a global giant, BP shepherds an incredible number and assortment of facilities. These range from floating offshore vessels off the coast of Angola to a complex company in the Iraq desert; from operations in the Alaskan Permafrost to the liquid natural gas facility in Indonesia[vi]. The operations activities commences with BP’s field operators and spreads to the office-based personnel who harmonize the operations of the aircrafts and the boats needed to ferry the operators to and from the fields. Its planning team has the mandate of ensuring that the work done at all of its facilities is thoroughly scheduled. Reliability teams are charged with maintaining equipment in order to anticipate defects before they materialize. BP’s operations team is made up of about nine thousand people who are roughly equally split between technicians, operators and a support cast that operates from offices in different parts of the world. BP also engages around two thousand contractors, as well as in excess of twelve thousand suppliers who provide personnel and requisite goods and services for the smooth running of the company. Principal parties include customers, suppliers, and logistics service providers. The main modes of transportation include pipeline, road, marine and rail[vii]. Compulsory, mutually-agreed and deliberate requirements include industry codes of conduct, regulation, and company standards. BP brings together an estimated eighty thousand people from all over the world to achieve shared goals. Whether these employees work across teams, countries or even continents, the company facilitates them to ensure access to the most astute and passionate minds. Equally, BP values the competence, experience and proficiency that each employee adds to the human resource mix. The company’s values and its way of doing business make a bold and sincere difference to its people on a daily basis. At BP, collective success is compensated and diversity is highly treasured. This means that at BP, it does not matter whoever one is, their ideas and opinions will be treated with utmost respect. BP treats its staff with politeness, genuine respect and absolute consideration[viii]. BP continues to expand and evolve within the ever dynamic energy industry. It requires an extremely skilled workforce in order to remain profitable. Towards this end, the company has spared no effort to ensure that its workforce have all the resources they need to keep their knowledge and skills fully and constantly up-to-date. The company is fully committed to the learning and development of its people. In fact, it invests approximately $500 million annually to train its staff through various programs. Those who hold postgraduate qualifications can join the Future Leaders Program, which is designed to equip them with the right expertise to propel the company to a brighter future. Or, graduates can join the Challenger Program, a vigorous, top-notch development program that guides graduates during the initial two to three years of their careers at BP[ix]. Whatever ones role is, wherever ones area of assignment is, one should expect a wide range of learning material together with formal training, the bulk of which is offered by the company’s employees with years of experience. New employees are certain to receive personalized coaching and to learn on the job under the close supervision of more talented colleagues. A mentor is made available to help in the settling in and guide the development of new members of staff. Regular performance appraisals are used to track employee progress[x]. It is this holistic approach to the development of human resource that makes BP an ideal investor in any developing country. Such an outfit will not only create more jobs but will also assist in the nurturing and development of skilled workforce that is necessary if the country is to move from the status of a developing nation to reach industrialized status. BP as a multinational company deals with the exploration and mining in the oil and gas sector. With that in mind, it is expected that some concerns might arise with regard to their operations. These concerns are mainly those touching on environmental issues and matters of pollution. Not long ago, BP’s deep-water oil drilling rig in the Gulf of Mexico exploded, killing eleven workers. The exploratory well started pouring out oil at an alarming rate of about five thousand barrels per day. This was occasioned by the failure of the blowout prevention system[xi]. For those championing a carbon free environment, it is very unfortunate that they stand to be inconvenienced by the prospects of BP’s operations. But for those who enjoy the advantage of modern day civilization such as increased mobility and rapid transportation offered by automobiles and aircrafts, the trade-offs are not very difficult to comprehend. But to decide whether to allow BP’s offshore and inland oil and gas exploration activities, a rigorous quantitative approach should be employed[xii]. It would be prudent and beneficial to determine if the economic and ecological costs outweigh the benefits accruable from oil and gas exploration activities. As for the impacts of the company’s operations on the environment, the various statutory environmental regulation bodies should determine the costs associated with such operations. It can concluded that the chief strategic changes likely to be effected by British Petroleum to respond to the tough and constantly changing economic environment are: government contracts to avoid political uncertainties, expanding into more stable and promising locations like Kenya, and the rapid investment in the alternative energy options. The company was forced to transform its generic strategy because the cost reducing approaches caused accidents and leaks. It can also be concluded that the risks associated with the potential accidents were acted upon and minimized. It is therefore recommended that British Petroleum be allowed to participate in the oil and gas exploration activities. When technology fails, mostly it is because the fault is something that the designers never spotted during the design phase. Assuming no misdemeanour, the accidents that occasion oil spills are likely to uncover the shortcomings in the initial designs of equipment. This will give future designers an opportunity to fix those problems. Progress involves trial and error, and improved safety is as a result of mastering the art of making effective trade-offs between risks. Despite the current risks associated with oil and gas exploration, the risk is worth taking given the prospects that it holds for the economy. [i] Davis, Melissa, and Jonathan Baldwin. 2005. More than a name an introduction to branding. Lausanne: AVA. http://search.ebscohost.com/login.aspx?direct=true&scope=site&db=nlebk&db=nlabk&AN=354478. [ii] Reed, Stanley, and Alison Fitzgerald. 2011. In too deep: BP and the drilling race that took it down. Hoboken, N.J.: Bloomberg Press. [iii] Spulber, Daniel F. 2007. Global competitive strategy. Cambridge: Cambridge University Press. [iv] Lane, Henry W. 2009. International management behavior leading with a global mindset. Chichester, West Sussex: Wiley. http://search.ebscohost.com/login.aspx?direct=true&scope=site&db=nlebk&db=nlabk&AN=421906. [v] Kumar, B. Rajesh. 2012. Mega mergers and acquisitions: case studies from key industries. Houndmills, Basingstoke, Hampshire: Palgrave Macmillan. [vi] AAPG Hedberg Research Conference, Dietmar Schumacher, and Michael A. Abrams. 1996. Hydrocarbon migration and its near-surface expression: outgrowth of the AAPG Hedberg Research Conference, Vancouver, British Columbia, April 24-28, 1994. Tulsa, Okla: American Association of Petroleum Geologists. [vii] Roberts, Paul. 2004. The end of oil: the decline of the petroleum economy and the rise of a new energy order. London: Bloomsbury. [viii] Thomson, Rosemary, and Christopher Mabey. 1994. Developing human resources. Oxford: Butterworth Heinemann. [ix] Kapp, Karl M., and Tony O’Driscoll. 2010. Learning in 3D adding a new dimension to enterprise learning and collaboration. San Francisco, CA: Jossey-Bass. http://site.ebrary.com/id/10361297. [x] Cornelius, Nelarine. 1999. Human resource management: a managerial perspective. London: International Thomson Business Press. [xi] United States. 2011. Deep water: the Gulf oil disaster and the future of offshore drilling : report to the President. [Washington, D.C.]: National Commission on the BP Deepwater Horizon Oil Spill and Offshore Drilling. [xii] Harbaugh, John Warvelle, John C. Davis, and Johannes Wendebourg. 1995. Computing risk for oil prospects principles and programs. Oxford: Pergamon. http://www.sciencedirect.com/science/book/9780080418902.